It’s been four years since AVAC advanced these criteria for effective targets in our 2014/15 Report, Prevention on the Line. Then, we identified targets that have advanced the field and ones that have fallen short. 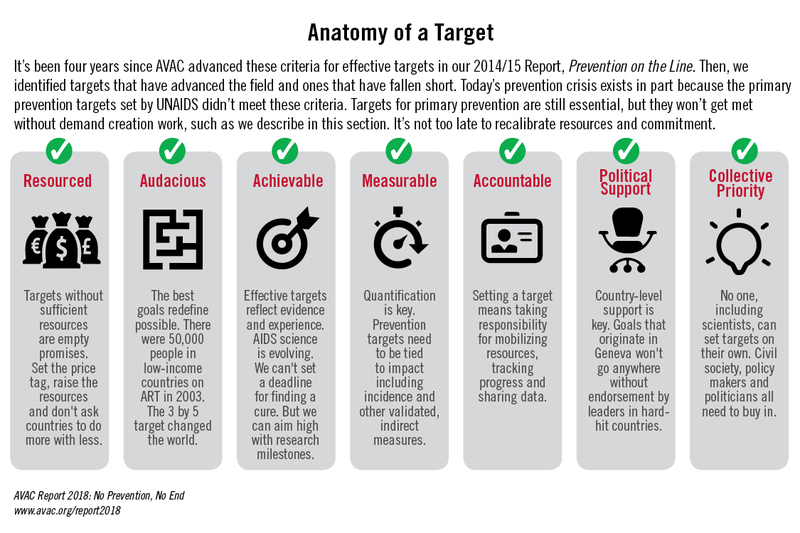 Today’s prevention crisis exists in part because the primary prevention targets set by UNAIDS didn’t meet these criteria. Targets for primary prevention are still essential, but they won’t get met without demand creation work, such as we describe in this section. It’s not too late to recalibrate resources and commitment.